If you are looking for Paul Merrill, go over to Shiny Bits of Life, which is his main blog - or Greener Grass Media, which is his inactive business site* and blog. Thanks! You can find his most frequent connections with the interwebs on Facebook. 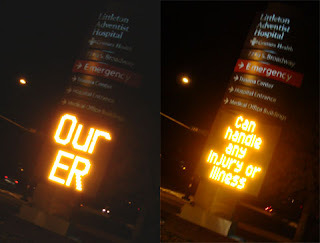 I was greatly amused at this local hospital's claim - their ER can handle any injury or illness. I have been expecting a swarm of terminal patients to arrive on their doorstep to be cured of that illness that has been plaguing them. I took a train from Washington DC to New York City when I was in elementary school. 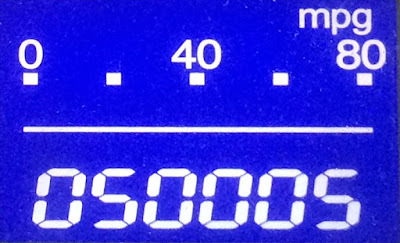 The fun was intense enough to make it a very memorable experience, even these thousands of year later. We visited the UN, took a bus through Times Square - and just the train ride alone was great. It was a also a wonderful time with just my dad. 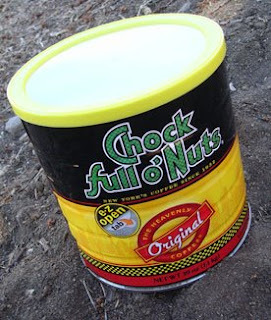 Safeway had a sale on Chock full o' Nuts recently - $6 for a big tin that normally costs $12. I couldn't resist the opportunity to cut my better coffee with that for nostalgia's sake - and for budget's sake. The report? The blend is not bad. Way better than Folger's or its kin. 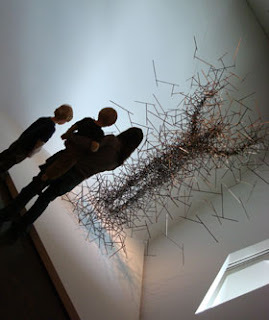 Saturday we went to the Denver Art Museum. It was great! 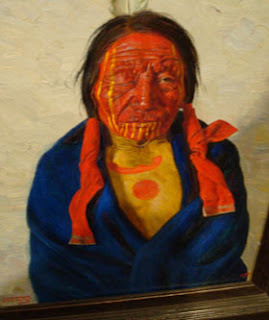 My favorite part of this visit was the western art section. Normally that isn't my cup of tea, but for some reason, this time it really hit me in a positive way. That collection was very well put together - and compelling. 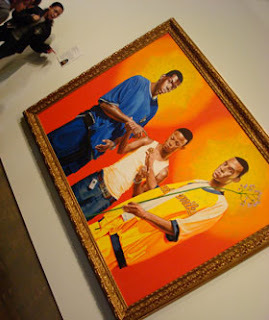 Seeing real art up close and personal is unbeatable. You can look at prints of art in books, but nothing beats the intensity of seeing the real colors and scale of the works. 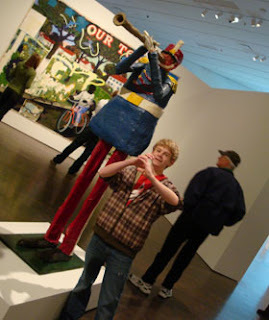 This was only my third time to visit the museum. The most recent time before this was maybe five years ago, so it was my first time in the new Libeskind addition. I took so many pictures that I have to share more with you later. 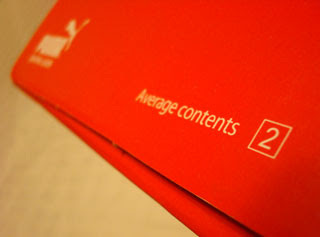 I was amused by this little note on the box: "Average contents: 2". Was that a joke? Do people buy shoes without checking to see if there is a left and right in the box? What's your take on this? Every once in a while, when I'm about to delete all the spam in one of our email's spam boxes, I look at what's in there (the titles, anyhow). 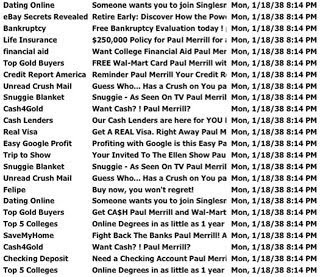 I noticed this pattern I had never seen before - there were huge numbers of spam emails sent at exactly the same time! Several clumps of them at different times, in fact. When I think of those spam creators, over in Nigeria, I guess a few must think, "Maybe one of them will get read by somebody," in a lonely sort of way. Well, I didn't have to say goodbye - I wanted to. 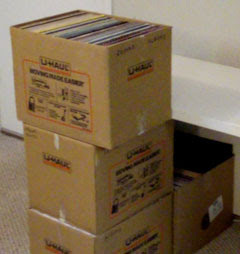 A week or so ago, I sold about 80% of my vinyl records. 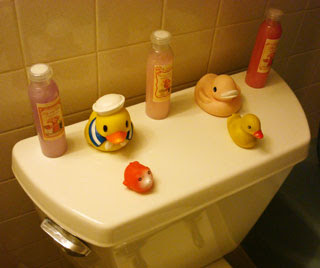 My collection represented years of careful selections and purchases. It spanned genres of all types and had some rare releases not available digitally. Many audio purists say records' sound quality is far superior to CDs (or even higher-resolution digital recordings). Sadly, I sold the collection for way less than what it was worth - but I did get my asking price. I didn't want to hassle with listing each record on eBay. The cost of doing it that way would have yielded about 50c per hour, if that! But it all had to go. Some I hadn't listened to in ten or more years. The vast majority I would never listen to again. Space? I didn't have room. In fact, I feel like even CDs take too much room now. I rarely buy music on CD anymore (even though it can be cheaper that way - if less instantaneous). You can't take it with you. I'm glad my Craigslist buyer did. Denny's ran an ad during the Superbowl touting a free Grand Slam breakfast on Tuesday. Heather and I decided to check it out. 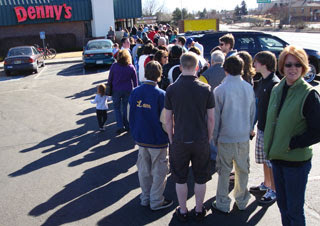 I knew the line would be long - but not quite this long. We were just about to leave when Heather said we should ask how long the wait was. So as we were walking to restaurant entrance, I asked a lady who was leaving how long the wait was. She said "About 45 minutes" and then told us we could get a rain check from the checkout counter. We went there and were given five coupons for free breakfasts, even though there were just two of us! That whole experience left us with very good feelings for Denny's.